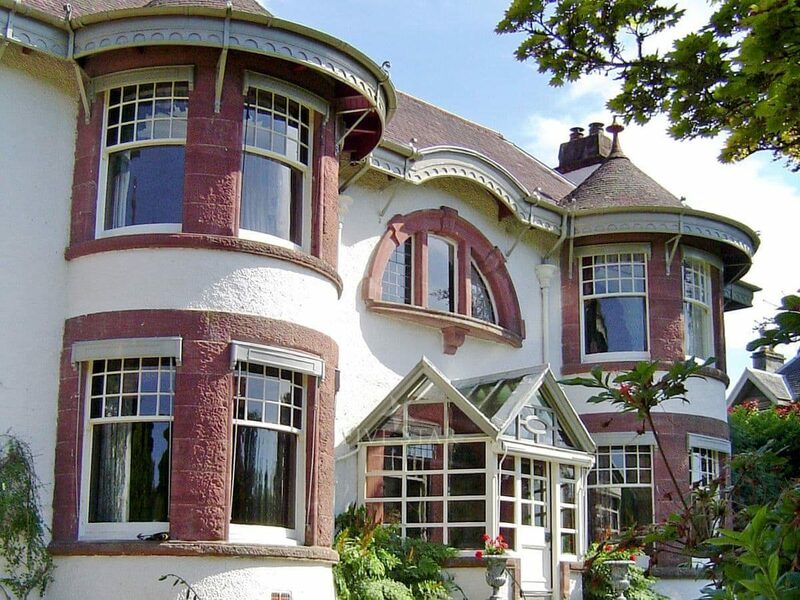 Designed by William Bell circa 1899, Dunvarlich House is a superb example of Arts and Crafts movement architecture and has a Historic Scotland listing.. 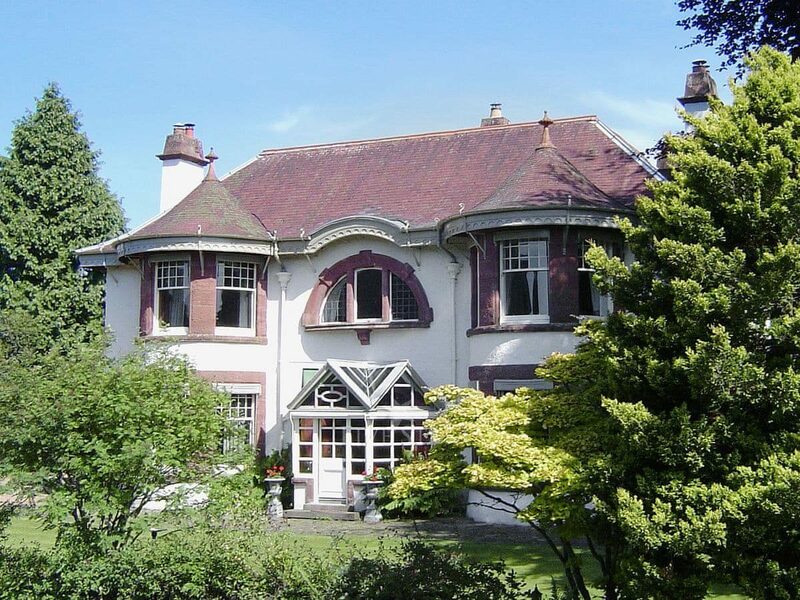 Designed by William Bell circa 1899, Dunvarlich House is a superb example of Arts and Crafts movement architecture and has a Historic Scotland listing category B. The house occupies a stunning position with breathtaking views overlooking the River Tay, with its 18th-century stone bridge, glens and mountains beyond. To the front of the house there are steps that lead down to a beautiful river walk. 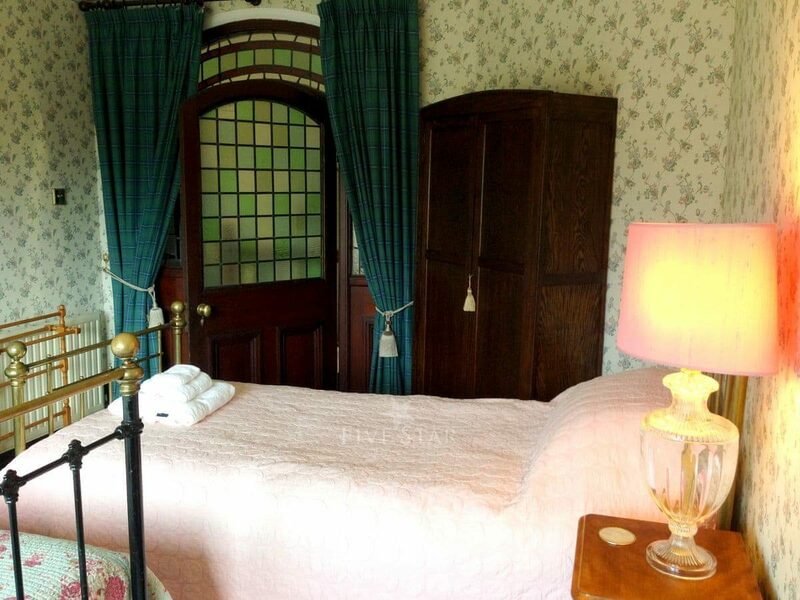 The house is entered by an Oriental-style vestibule with pale green stained glass, opening into a long, imposing hall and has been lovingly restored and elegantly furnished with antiques for discerning guests and families. 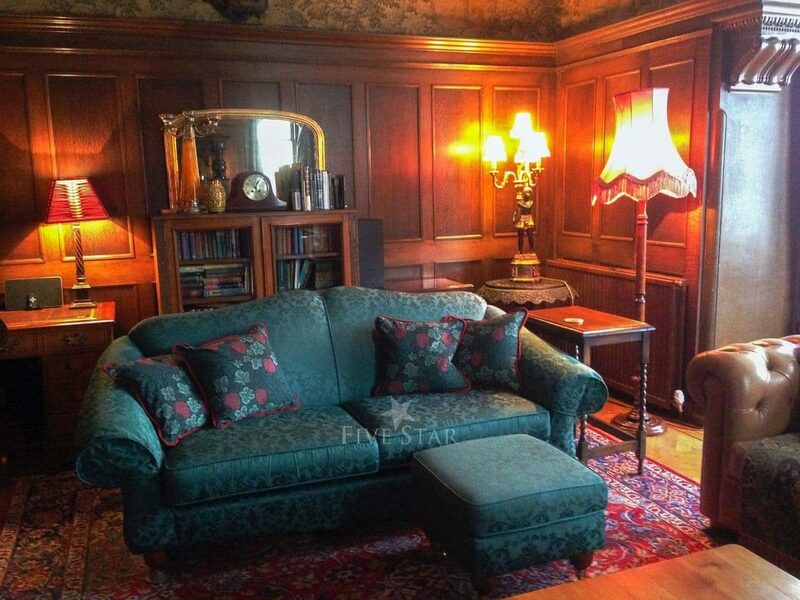 It boasts original oak panelling in the drawing room, wood-burning stove, glass sun porch and a quaint, original cloakroom. 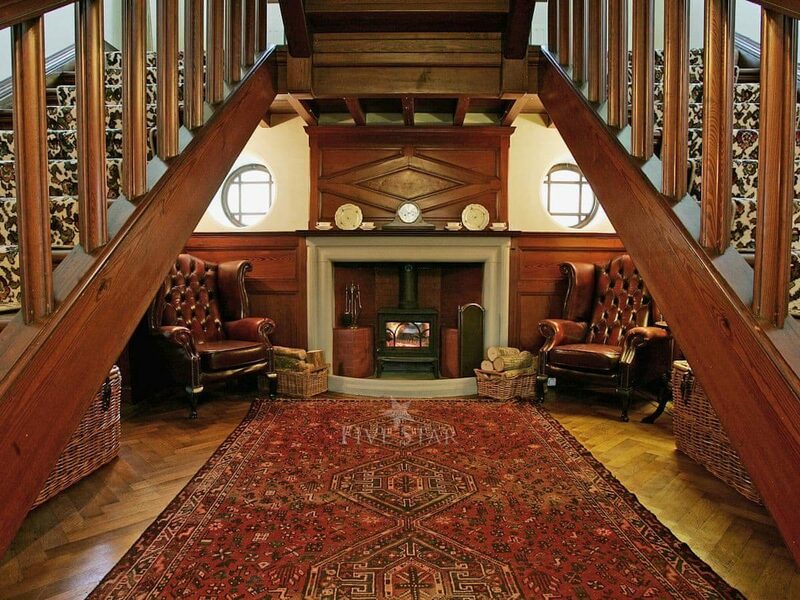 A double staircase sweeps up either side of a fireplace with log burning stove, leading to four generous bedrooms and two large Victorian bathrooms. The caretakers are resident in a completely separate private rear wing. Set on the edge of the pretty town of Aberfeldy it combines excellent local amenities including a delicatessen, butcher, galleries, bookshops, restaurants, antique shops and swimming-pool all within easy walking distance with the peace and tranquillity of country living. There is a golf course, putting green, bowling green, play park, tennis courts, river rafting and rock climbing all close by, as well as kayaking, sailing, sauna and gym. This truly is a unique holiday property in a perfect location. Shops ¼ mile.Entrance through vestibule. 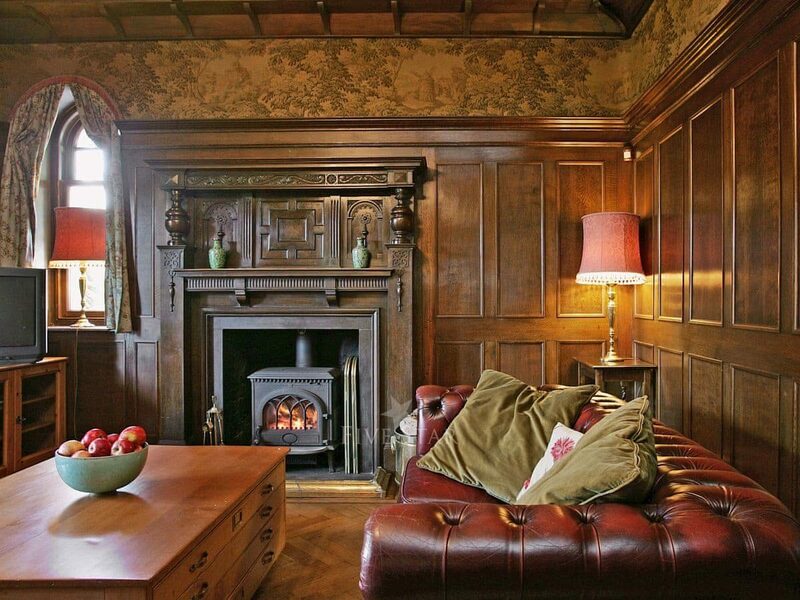 Large living room with wood-burning stove, oak panelling and large bay window. 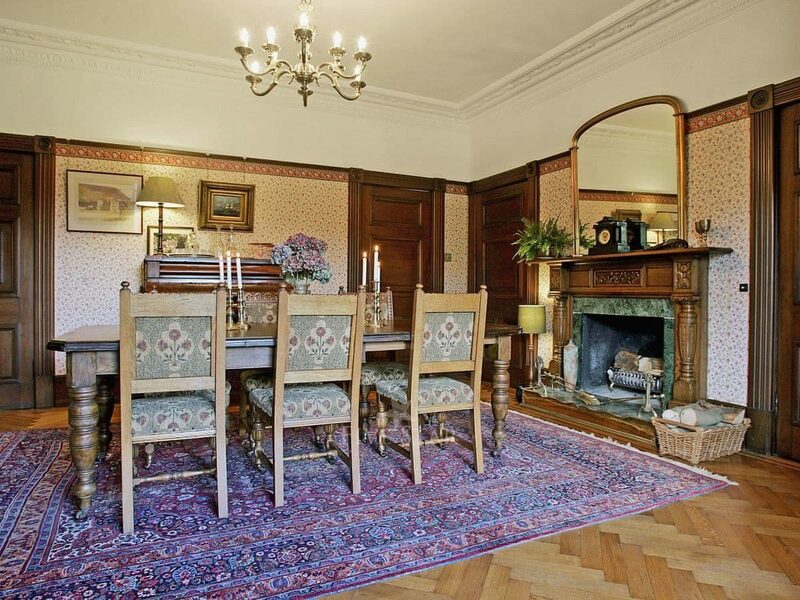 Spacious dining room with open fire in feature fireplace. 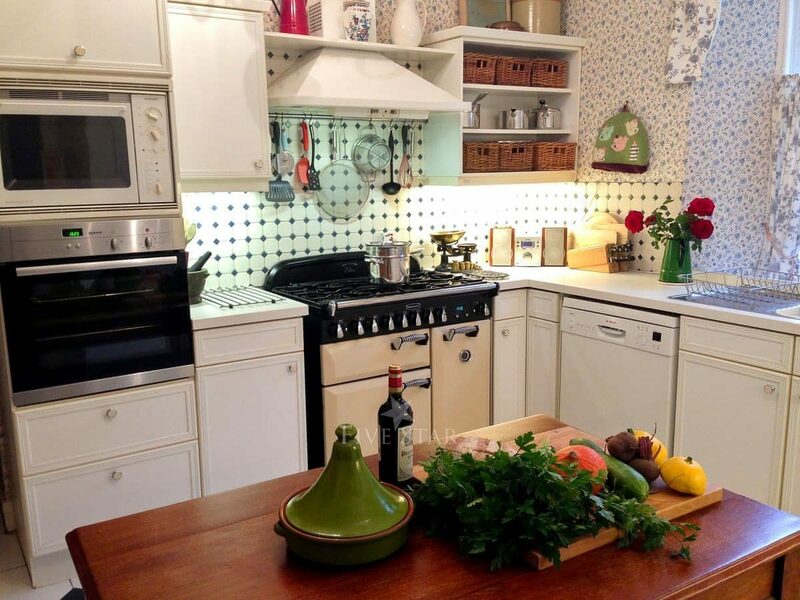 Large well-equipped kitchen leading to butlers pantry. Music/games room with Sky TV (movies package) with Now TV and piano. Double bedroom. Separate toilet. First floor: Double bedroom with feature fireplace, river views from bay window and access to adjoining bathroom with roll top bath, bidet and toilet. Double bedroom with single bed and views to glen and mountains. Further double bedroom with walnut bed, decorative fireplace and access to adjoining bathroom with bath in mahogany surround, bidet, toilet and decorative fireplace. Twin bedroom. Shower room. Thank you for sharing your stay experience at Dunvarlich House. We will publish it as soon as possible. An unbelievably beautiful house. It was like living in a romantic story for the week. Extremely well furnished and maintained. Pleasant walk to the centre of Aberfeldy and a number of country walks. Quiet street and lots of room. 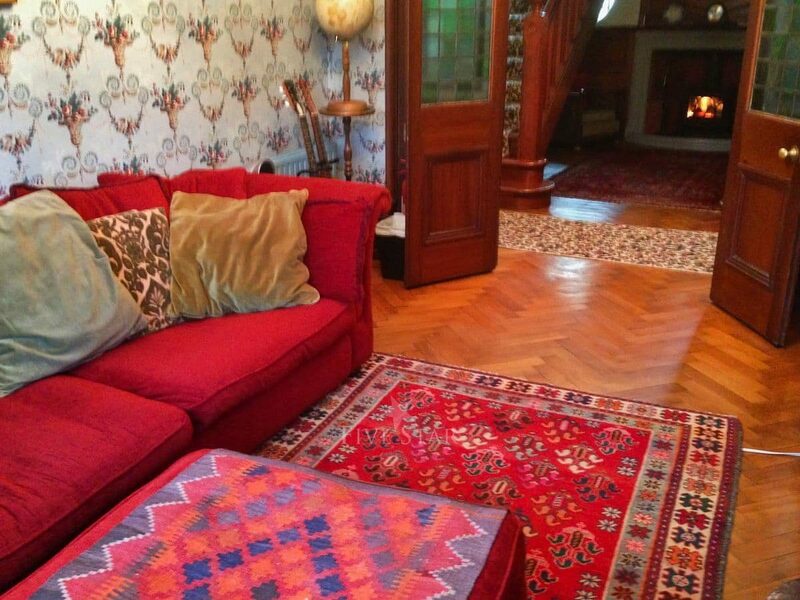 An absolutely wonderful house and the owners are charming, helpful and friendly. Simply the best. We could have asked for anything more. Everything was in the house. Furthermore, the house and the area in which it was located were amazingly beautiful. The house was spotlessly clean, warm and welcoming. We were blown away by the fantastic "Arts and Crafts" feeling throughout. There was everything that we could need for a fantastic week - we especially liked the big baskets of toys and the music room. The welcome hamper was great, thank you. A perfect house for a large fairly group holiday. The house was very good and well equipped. The house and the garden is truly amazing. We were surprised to find old records, books etc. It was very generous to leave all that at the property. There was nothing that we could think of that you did not provide. Loved living there for 2 weeks! Very peaceful location, beautiful surroundings. Loved the instruments. I found a few notes so was able to play a few tunes on the piano. The rooms are very spacious and decorations are amazingly beautiful. Truly loved being in that house. A lot of toys, that made the kids absolutely happy! This was an outstanding property perfect for a family celebration or get together. 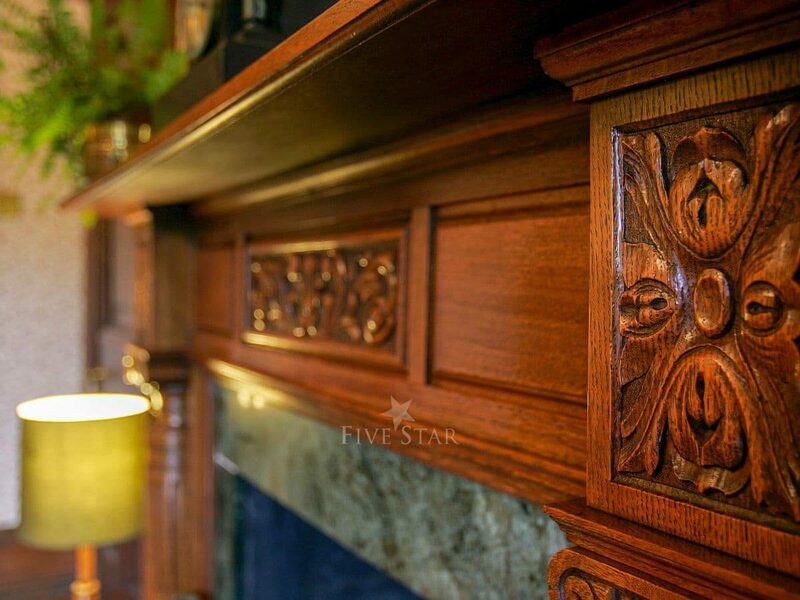 The attention to detail of the owner was without doubt the best we had ever had. Fresh flowers on arrival. Fresh milk in the fridge, tea and coffee etc The house was immaculate, warm and so well equipped. Dunvarlich House was wonderful and very well cared for by its owners. The location on the River Tay and in Aberfeldy was especially attractive. Lovely house with every little detail thought of. The instructions for things very clear, e.g. the fire. The weather was the only downside to the holiday. The accommodation was amazing and both the photographs and virtual tour could not possibly do it justice.